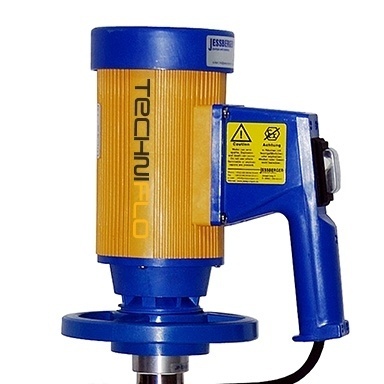 Techniflo drum pump range for tranferring and decanting chemicals and acids. 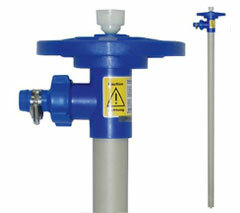 A drum pump consists of a motor and a pump tube. All air and electric motors are interchangable with any pump tube. There are many accessories for these pump. 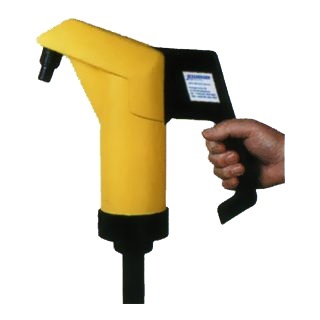 Also available are a range of hand operated drum pumps.